Kanye West has said he is “distancing himself from politics” after realising he has been “used to spread messages” he does not believe in. 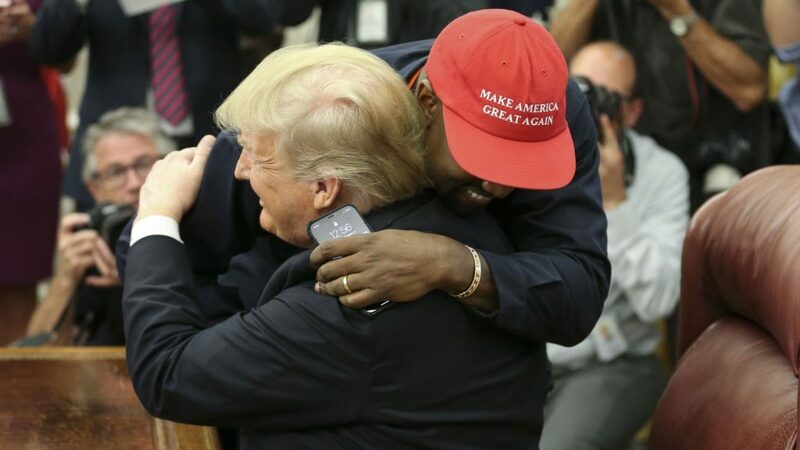 The controversial rapper, who recently changed his name to simply Ye, has been criticised for his support for US President Donald Trump. His announcement on Twitter, dubbed “Yexit” by some social media users, comes weeks after he met with Mr Trump at the Oval Office. The superstar rapper, wearing a Make America Great Again cap, gave Mr Trump little chance to speak as he went on an expletive-filled rant. West appeared on the chat show Jimmy Kimmel Live! in August, in which he defended his support for Mr Trump during the 2016 presidential election. He told Kimmel: “It took me a year and a half to have the confidence to stand up and put on the hat no matter what the consequences were. Mr Trump tweeted from his New Jersey golf course afterwards: “Thank you to Kanye West and the fact that he is willing to tell the TRUTH. West first attracted criticism for his relationship with Mr Trump in December 2016, shortly after the businessman had won the presidential election. The rapper tweeted to say he had wanted to meet with the president-elect to discuss “multicultural issues”, including bullying, supporting teachers and violence in Chicago. Musicians including Ice T and Chance The Rapper also criticised the rapper for his support of Trump. West had referred to Trump as his brother in April, and said in a tweet: “You don’t have to agree with Trump but the mob can’t make me not love him. West also courted controversy in May when he suggested slavery was “a choice”. Film director Spike Lee and the singer Will.i.am levelled criticism at him for the remark. West had gained a reputation for speaking up for black rights earlier on in his career, when he criticised the then-president’s response to Hurricane Katrina. He said “George Bush doesn’t care about black people” at a benefit concert after the disaster.